Try this yummy queso blanco spinach and artichoke dip for a chip dip trifecta. 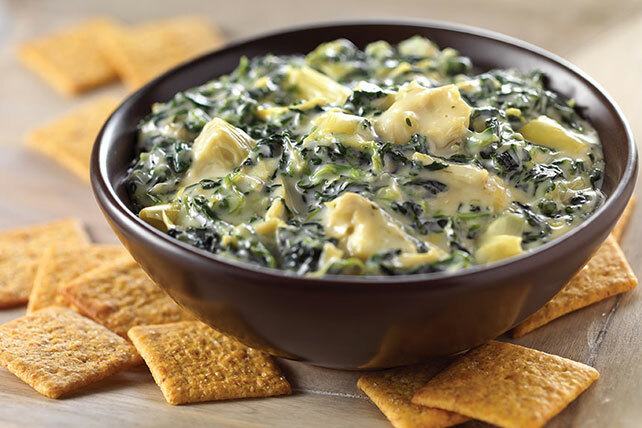 Make everyone's favorite dips in one tasty VELVEETA Queso Blanco Spinach Artichoke Dip perfect for chips or crackers. Makes 32 servings, 2 Tbsp. each.